When it comes to our children, we all try to ensure that they are getting the most nutritional bang for the buck during meals, but sometimes it can be more of a challenge when it comes to snacktime. These are many reasons healthy and nutritious snacks can be either just as important as meal time – or sometimes even MORE important. Meal time can sometimes be a tough time for some children – they might not be hungry at meal time, not like the food they are given, or might rather play instead of eat. But what snacks are best for filling little bellies? Cornell University researcher Brian Wansink, PhD, asked this question in a study published recently in Pediatrics: Association of Nutrient-Dense Snack Combinations With Calories and Vegetable Intake. The children were encouraged to “eat all you wish” of their plentiful snacks and their level of fullness (also known as satiety) was measured. The results uncovered that the children who had access only to the chips consumed slightly over 600 calories while those in the combo group (cheese and veggies) consumed only 170 calories to feel full. Those in the cheese only group ate 200 calories whereas the veggies group consumed a mere 60 calories, on average, to feel full. When looking at the snack that gave the kiddies the most nutrient bang for the buck, the cheese and veggie combo group was the clear winner. The combo not only satisfied them at over 70 per cent less calories than the chips group, but the cheese and variety of veggies together also provided the most robust combination of nutrients of all the snack groups. Cheese is an excellent source of calcium and protein, and veggies provide vitamins, minerals and fibre. Spread with peanut butter or nut free spy based spread. Feel free to share with us some of your favourite snack combos! Enjoying the many new and delicious restaurants around town is something my family enjoys doing on a regular basis. Sometimes it can seem overwhelming to look at the many different options on pages and pages of menus at these restaurants. Small changes and requests to the menu items can help curb those extra calories we sometimes rack up when eating out. Our children learn by example – by adopting a positive attitude towards making healthier choices, you’ll help your kids think that way too. Treat your taste buds to something different. Italian, Chinese, Japanese, Thai, Caribbean, Greek, Indian, Middle Eastern, and other ethnic cuisines offer healthy choices. Ask to see the nutrition information for the menu items in your cafeteria, restaurant, and fast food outlet. Use it to help you choose the healthier menu options. Ask for your meal to be cooked without salt or MSG (monosodium glutamate), a seasoning that is very high in sodium. Enjoy the taste of foods without adding butter, margarine, gravy, or rich sauces. Ask how your meal is prepared, and ask for the sauce to be left off or served on the side. If you do eat a meal high in calories, fat, sugar, and salt (sodium), be sure to eat healthier meals the rest of the day. Foods like steamed vegetables, vegetable soups, fresh fruit salads, berries with yogurt, and salads with dressing on the side are just a few of the healthier options. Choose dark mixed green salads with vegetables or fruit instead of higher fat Caesar, taco, potato, or pasta salads. Order gravy, sauces, and dressings on the side and use only small amounts. Choose tomato- or vegetable-based soups and pasta sauces instead of alfredo or cheese sauces. Order sandwiches, subs, or wraps with whole grain bread, buns, or tortillas. Choose one spread instead of two (for example, mayonnaise or margarine, not both). Choose baked, broiled, or steamed foods instead of breaded or deep-fried foods. Limit cakes, cookies, and rich desserts. Get a smaller size or share with your family or friends. Choose water, skim, 1% or 2% milk, fortified soy beverage or 100% juice instead of soft drinks or highly sweetened beverages. Some restaurants serve a lot more food than you need. These tips will help you keep your portion size reasonable. Order a small appetizer or half a meal. If you are served too much food, ask for a take-out container and keep the leftovers in the fridge for the next day. Have the small-sized drink and ask for a glass of water instead of ordering a large. You can add a lot of extra calories in your day just from drinks. My Food Guide Servings Tracker helps you keep track of the amount and type of food you eat each day. eaTracker (by the Dietitians of Canada) helps you set food and activity goals and compare your food choices to national guidelines. A colleague of mine recently told me that when it came to going out to eat when she was a kid, it meant only one of two options: McDonald’s or Swiss Chalet. Now that she’s a mom, she deliberately tries to expose her son to different restaurants with varied cuisines, like Chinese and vegetarian. Although she says she has had some regular success getting him to try non-traditional foods, she confesses that given the choice, McDonalds or pizza are still his favourites….oh well, at least Happy Meals can include yogurt and apples nowadays! 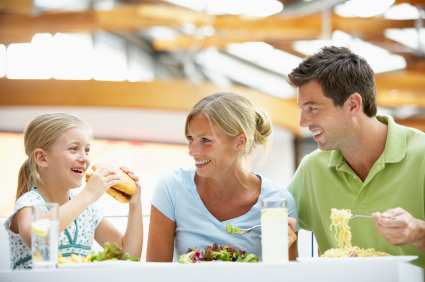 What are some of your family’s favourite places to eat out? Have you ever wondered what people in other parts of the world eat for breakfast? Seeing all of the coverage this morning of the meteor that passed over Russia as they were on their way to work, it made me wonder about the Russian breakfast routine. 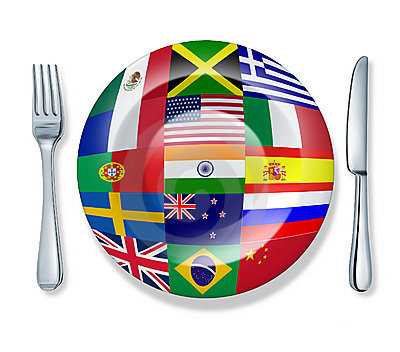 Did you know that the tradition of having a separate food for breakfast was created in North America, whereas people in many other countries will often eat the same foods they have for lunch or dinner at breakfast time? For example, in many Asian countries, people will have rice, meat and vegetables for breakfast. A lot of Western breakfasts are high in sugar and can include pastries, sweetened cereals, pancakes with syrup etc. Often other countries focus on healthier choices such as whole grains, vegetables and fresh fruits for their breakfast recipes. 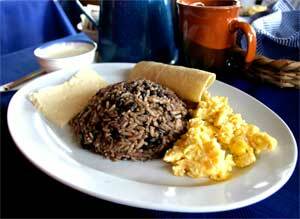 If you look past your country’s border for breakfast ideas you may find some that are both delicious and healthy. Turkey – A typical Turkish breakfast will include cucumbers, tomatoes, olives, feta cheese, honey or jam, French bread, and tea, with eggs or sucuk (spicy lamb sausage). This provides a well-rounded meal that includes vegetables, carbohydrate, protein, and fat. Olives are a good source of heart-healthy monounsaturated fat, honey has anti-inflammatory properties and tea contains antioxidants. Israel – Some of the most healthful breakfast foods can be found in the countries around the Mediterranean Sea like Israel, Cyprus, and Greece. The Mediterranean diet emphasizes foods rich in omega-3 fatty acids, including whole grains, fresh fruits and vegetables, fish, olive oil, and garlic consumption. The typical Israeli breakfast usually consists of the Salat Katzutz, or chopped vegetable salad that generally includes finely chopped tomatoes, red onion, parsley, cilantro, and seedless, crunchy cucumbers, with red or green peppers on occasion and is served without salad dressing. Cheese is also usually a part of one’s breakfast in Israel, either Tsfatit, which is white cow’s milk cheese named for the Israeli city of Tsfat, or cottage cheese. Other traditional breakfast foods include yogurt, hummus and tahini with olive oil, pita or fresh bread, and hard-boiled eggs, olives, avocado, and fresh juices. It’s almost impossible to find meat on any breakfast plate in Israel, partly due to Kosher laws that require dairy and meat products be kept separate. Instead, many people choose to eat fish such as herring, smoked salmon, or mackerel, adding some healthful omega-3s into the diet first thing in the morning. Costa Rica – A typical Costa Rican breakfast includes lots of pineapples, oranges, mango, papaya, corn, beans, rice, squash of all kinds, fresh cheese, and eggs. Gallo pinto is a popular breakfast dish which consists of rice and black beans with eggs on the side – a meal high in fibre that will give you the energy you need until lunchtime. China – A typical Chinese breakfast might consist of a dumpling or bun filled with vegetables or meat, along with a cup of soymilk tea, or a soupy rice porridge called congee. Both of these breakfast choices are low in fat and sugar and allow for an early opportunity to incorporate vegetables into the daily diet. A favorite street-side breakfast food is a jian bing, which consists of a very thin, crêpe-like pancake cooked on a hot drum. The pancake is covered with green onions, a spicy chili/bean paste, and then topped with an egg. Once the egg cooks, the pancake is rolled up, sliced in half, and served hot to the waiting customer. It’s an excellent combination of carbohydrate and protein with a healthful dose of green onion and a bit of fibre from the spicy chili/bean paste. Venezuela – In Venezuela, as well as in other Latin American countries such as Colombia, Ecuador, and Perú, the high consumption of corn is a big part of what gives this cuisine high marks. A Venezuelan breakfast often includes baked corn flour bread called arepas, which are filled with cheese, fish, beef, or chicken, or eaten as a side with shredded beef, black beans, white cheese, avocados, and/or fresh fruit juices. This provides good sources of protein, carbohydrates, dairy, fruit, and fibre. Black beans, also a mainstay of this country’s breakfasts, contain flavonoids, fibre and folic acid, and the white cheese typically eaten with this meal is a great source of calcium. To round out the meal, Venezuelans enjoy fresh fruit juices such as papaya, mango, watermelon, orange, tangerine, cantaloupe, or pineapple, all of which add their own array of vitamins. Why not try serving something from a different country in your home to celebrate diversity and add a little spice to your winter? 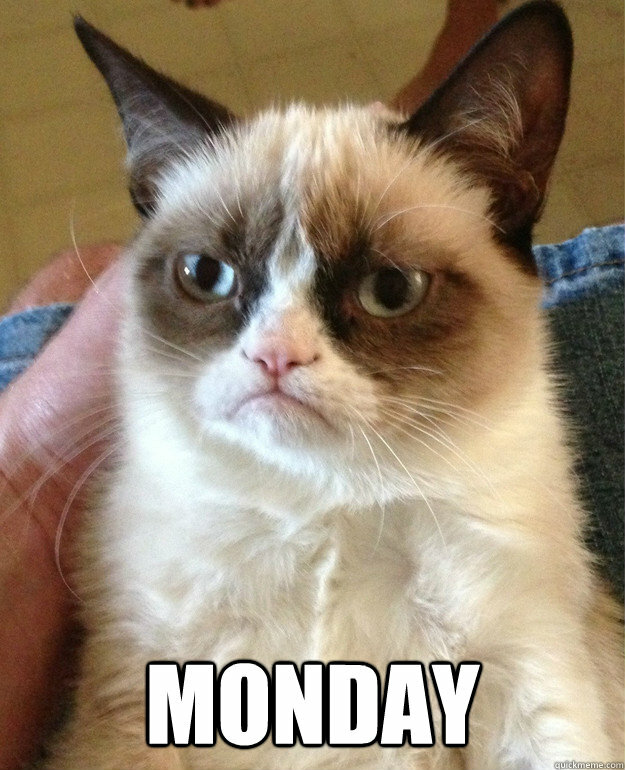 Hopefully you won’t be interrupted by any meteoric distractions! Sugar overload on any holiday is easy, but Valentine’s Day is one that is particularly heavy on sweets and giant heart-shaped boxes of chocolate. On top of being the month of love, February is also Heart Month—so what better way to show your tiny tots you love them than by showing them desserts can be both tasty and healthy. 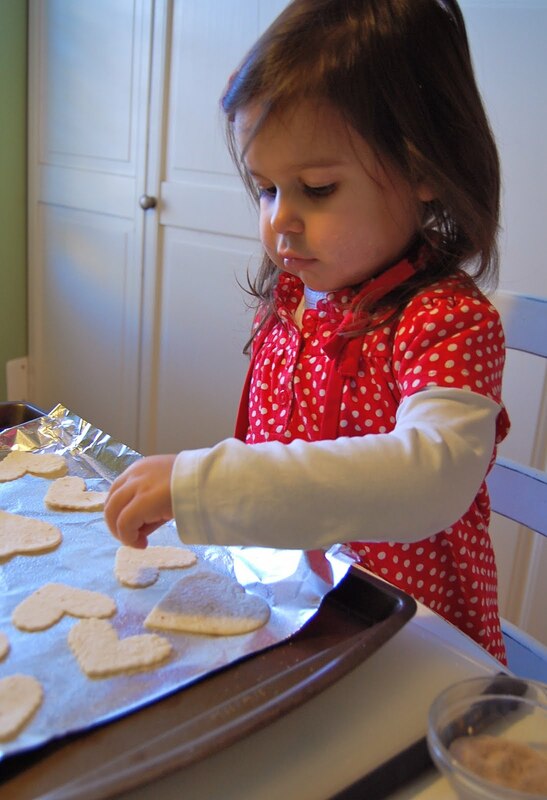 This recipe, from the blog Chef Mommy, is perfect for any Valentine’s event – and a great one that your kids can help out with (see our earlier post Kids can help make nutritious meals too!). Pack it in some Tupperware containers and send to school with your kids for the class to enjoy during party time. In a small bowl, whisk lemon juice, sugar, and poppy seeds. Add to fruit and stir to coat fruit evenly. Cut out hearts in tortilla’s and place the tortilla cut-outs onto a foil lined baking sheet. Lightly spray with the cooking spray or water, and sprinkle with cinnamon sugar mix. Eating healthy all week long doesn’t have to be a chore. Just like doing your laundry to make sure you have clean clothes, the key is preparation and can become a productive habit. I like to take the weekend – usually Sundays – to prepare things in bulk to use throughout the week as easy grab and go items for lunch and supper meals. I find if I have healthy options on hand for meals and snacks I’m less tempted to want those unhealthier items or opt for take-out on those lazy nights I don’t want to cook. Buy chicken breasts in bulk (especially when they are on sale) and cook three to four chicken breasts at a time. Eat one right away for a meal, then chop the rest up and place in the refrigerator. You can throw the chilled chicken on top of salads, use in a wrap, or heat up with black beans for a quick chicken fajita dinner. Hard boil a dozen eggs at a time. You can use them for egg salad, eat them individually for snacks, or chop them up for a salad topping. Tuna can be pre-mixed and ready to go in the fridge for wraps and sandwiches. Fresh produce always takes a little prep time. Do it in bulk right when you get home from the grocery store, and you’ll spare yourself the effort later in the week. Pump up the jams or your favourite podcast to keep yourself entertained, and go to town. Start by washing all produce, then trim any ends such as carrot tops, lettuce head bottoms, and sweet potato ends. Then, chop and portion produce. 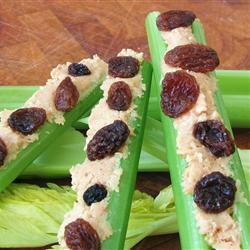 For example, cut celery into snack-sized stalks and prepare a reusable container with celery, carrots, and chopped peppers for a grab and go veggie snack. If you are going to make a stir fry, chop all veggies that you want to include and place in a large container then refrigerate. Take the same approach with fruit – have it cut and ready to go. At the end of the week, if you have left over fruits and veggies, you can throw them in a blender for delicious and nutritious smoothies! In the rush of the morning it’s sometimes hard to remember the importance of starting our day with a nutritious meal. Having items on hand helps to avoid unhealthy habits on the run. Make breakfast sandwiches (whole wheat English muffins and eggs), wrap in plastic wrap, and put in the freezer. To reheat take out of freezer and plastic wrap, wrap in a paper towel, and heat in microwave for 45 seconds or until warm. Add salsa for a delicious kick. Pancakes can be made ahead of time, wrapped in portions of 3, and then placed in freezer bag. To reheat take out of freezer and plastic wrap and warm in microwave for 1 minute or until warm. I usually like to make a large batch of muffins over the weekend to have on hand throughout the week to have for snacks. Come mid week I usually wrap and freeze them individually to ensure they are not being wasted. 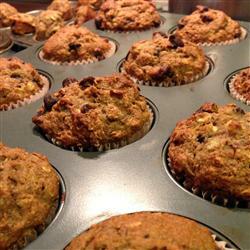 One of my favourite recipes, Banana Chocolate Chip Oat Muffins (from AllRecipes.com), is a source of fibre and has ingredients from four food groups – fruit, grains, dairy and eggs! Per serving :177 Calories; 3.7 g Fat; 35 mg Cholesterol; 34.2 g Carbohydrates; 4.7 g Protein; 3.5 g Fiber; 202 mg Sodium. Smart snacking is an important part of a healthy diet because it helps kids get the nutrients they need to keep going throughout the day. However, when you hear the call “I’m hungry!” echo through the house, it is tempting to sacrifice nutrition in the name of quick and easy. Balance is the key – when putting together snack suggestions, encourage your kids to pair up any two of the four food groups from Eating Healthy with Canada’s Food Guide – like a piece of fruit with cheese, or peanut butter and with whole wheat bread. 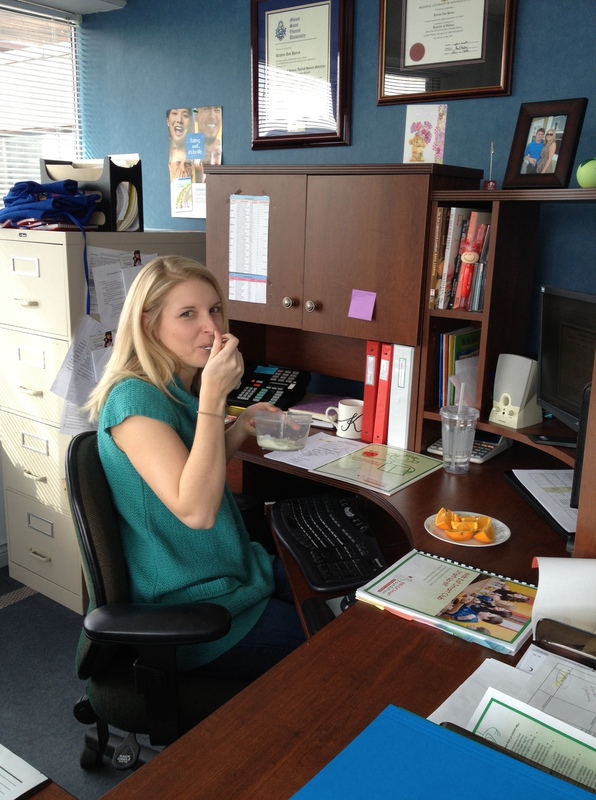 My usual pick-me-up mid morning snack is cut up orange slices and some delicious Greek yogurt. I find this healthy snack gives me that extra boost I need until lunch time! Try to think ahead so you can have quick and easy AND nutritious choices ready on hand. For instance, I try to have my fruit and veggies for snacks washed and cut-up and ready for easy access in my fridge. Variety in food helps make sure that kids get the vitamins and minerals they need, rather than just getting the same vitamins and minerals at each snack. When offering snacks, try to offer an assortment instead of offering the same snacks day after day. 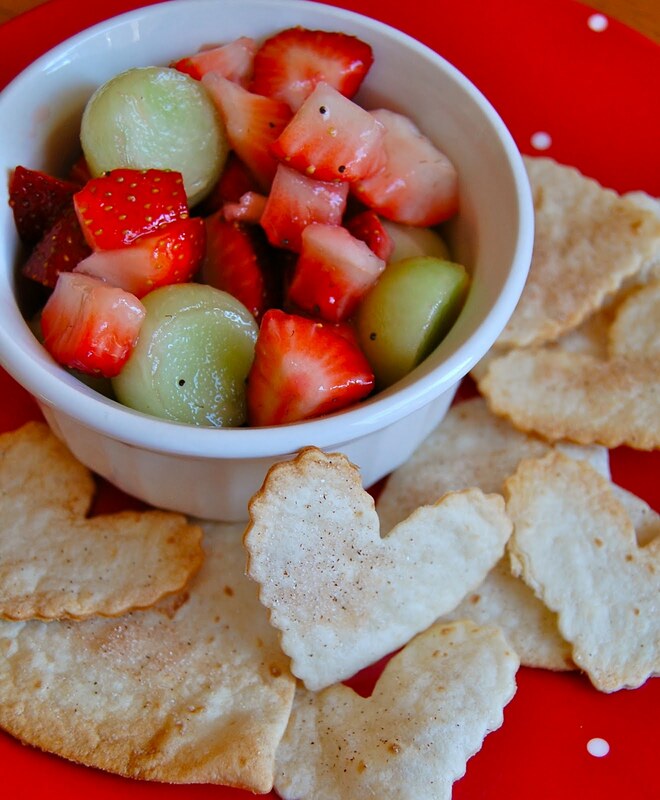 Strawberry Kisses – a healthy and delicious snack, just in time for Valentine’s Day! Get creative for any and all occasions – with Valentine’s Day just around the corner check out these, why not try making these balanced and delicious Strawberry Kisses? 12 Fresh or Frozen strawberries, washed. 1 ½ cup low fat plain or flavored yogurt. Dip strawberries in yogurt, freeze and slice. 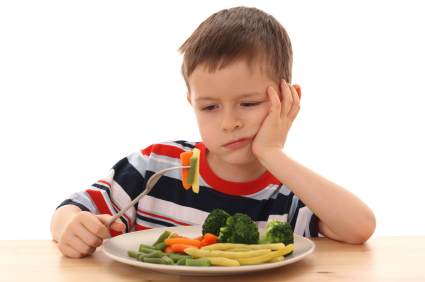 Many children are picky eaters, which can be frustrating when trying to introduce new foods. As a child, Mom and Dad wouldn’t let me or my brothers and sister get up from the table until we had finished off our vegetables – and I tell you, sometimes we were so stubborn, we were there for an hour! It wasn’t until my teens that I discovered that I actually liked them – and of course now I enjoy them each day as a part of a balanced diet. Not wanting to try new foods is actually quite normal in children. They do not always like new tastes or textures but there are ways to encourage children to try new foods. The key is to focus on creativity, to not getting frustrated and to keep trying. Be a role model. Try new foods with the kids. Combine new foods with old favourites like adding a new vegetable to a spaghetti sauce. Don’t transfer your food dislikes to the kids. Just because you don’t like a specific food doesn’t meant that the kids won’t like it. As every child matures they tend to become less picky about food, but everyone has their own tastes. Don’t expect your children to like every food they try. What strategies work for picky eaters in YOUR family? We’d love to hear about them – please comment below, post to our Facebook and/or Google+ page, or email me directly at kharris@kidseatsmart.ca. admin http://www.kidseatsmart.ca/wp-content/uploads/2018/07/KidsEatSmartColour_Logo_340x156-300x138.png admin2013-02-06 11:51:002013-02-06 11:51:00Why are some kids picky eaters? Common sense says that we get better results with better fuel, and research provides the data to back it up. A project by the Toronto District School Board, ‘Feeding Our Future: The First and Second-Year Evaluation’ (March 2012) showed that 78 per cent of grade 10 students who ate morning meals on most days were on track for graduation compared to 61 per cent who ate morning meals on only a few days or not at all. 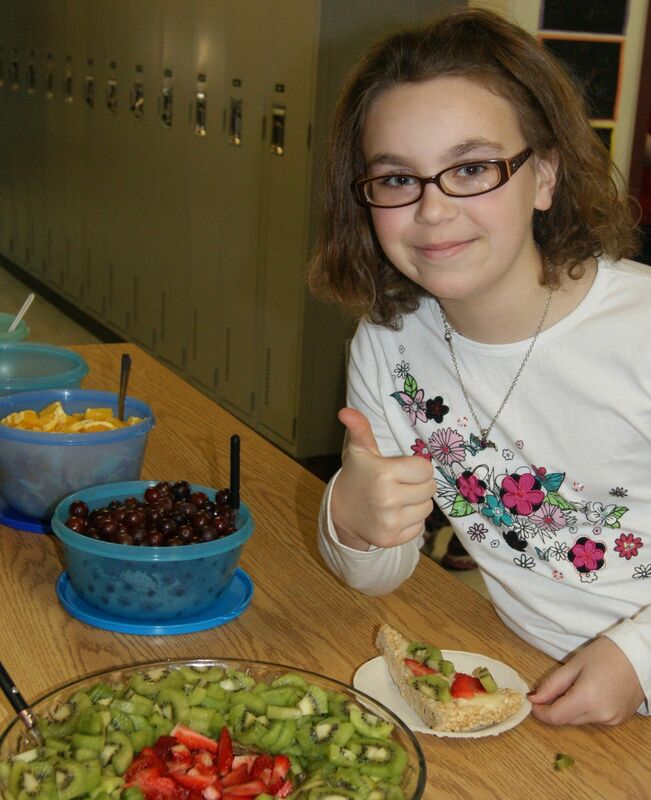 Closer to home, the Kids Eat Smart Year-End Principals Evaluation (2010-2011) showed that 100 per cent of respondents agree or strongly agree that Kids Eat Smart Clubs in Newfoundland and Labrador contribute to an improved atmosphere in their schools. 75 per cent agree or strongly agree that Kids Eat Smart Clubs contribute to decreased disruptions in the classroom. Findings from Kids Eat Smart evaluations and the Toronto School District study let us know good eating really does equal good thinking. So how can you help make breakfast a healthy start to your child’s day? Be creative and shake things up – add a smoothie to the breakfast mix! Since it started in 1992, the Kids Eat Smart Foundation of Newfoundland and Labrador has taken an evidence-based approach to its program and findings from the Foundation and from other similar organizations show that nutrition programs support learning. It supports the operation of over 200 Kids Eat Smart clubs in school across the province.